• Web-based technology. Accessible anytime and anywhere. • Consolidated reports with single database management. • Data drill down capability. • Multi brand, multi region, and multi pricing support. • Comprehensive reports with graphical data representation. • Support wide variety of promotions. 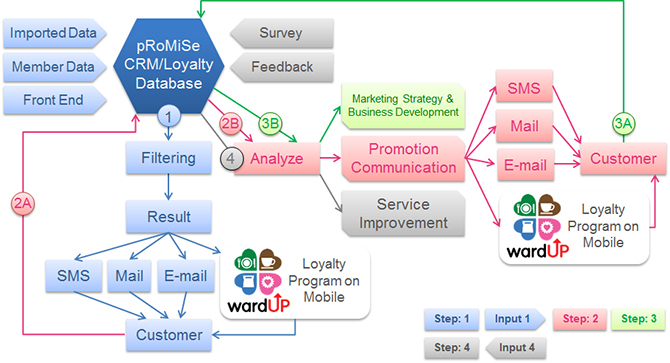 • Ability to analyze member data for CRM.